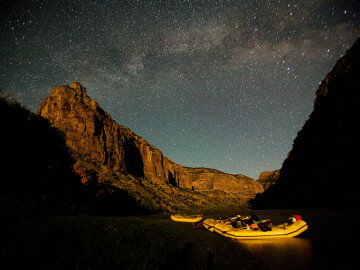 ​Arches National Park Tours with OARS. Imagine stepping into the rugged desert landscape and peering into a maze of colorful canyons. Walking among red, orange, salmon and tan-colored arches, spires, balanced rocks, fins and monoliths. Lingering in the long light of late afternoon when time seems to stand still and colors deepen and shadows grow long. That is what an Arches National Park adventure is all about. 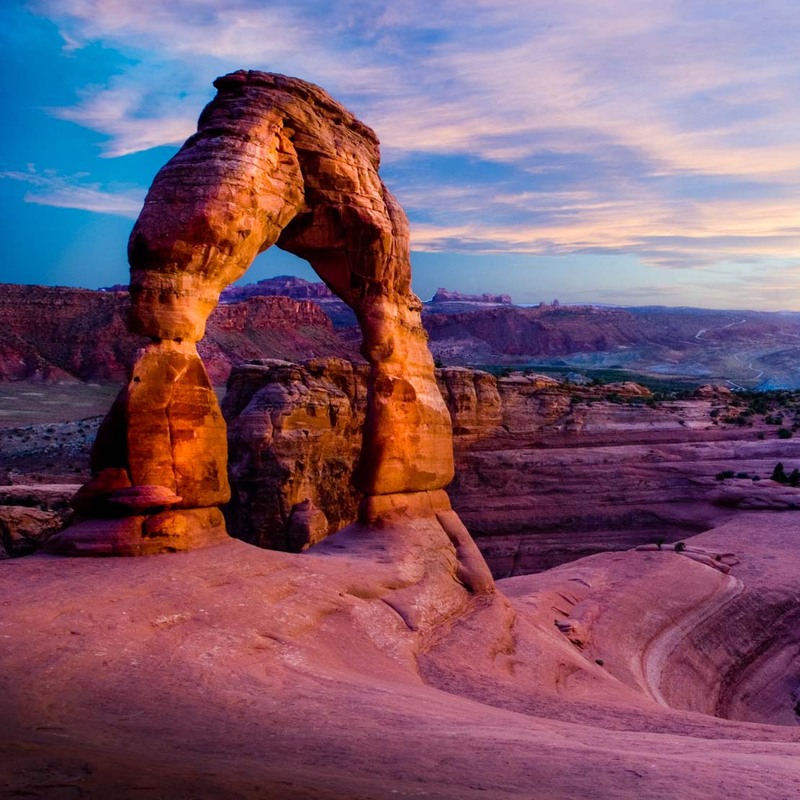 Located approximately four hours by car from Salt Lake City, and easily accessed from Moab in Southern Utah, Arches National Park is a 77,000 acre playground with a wide variety of hiking trails ranging from five-minute walks to full day hikes. 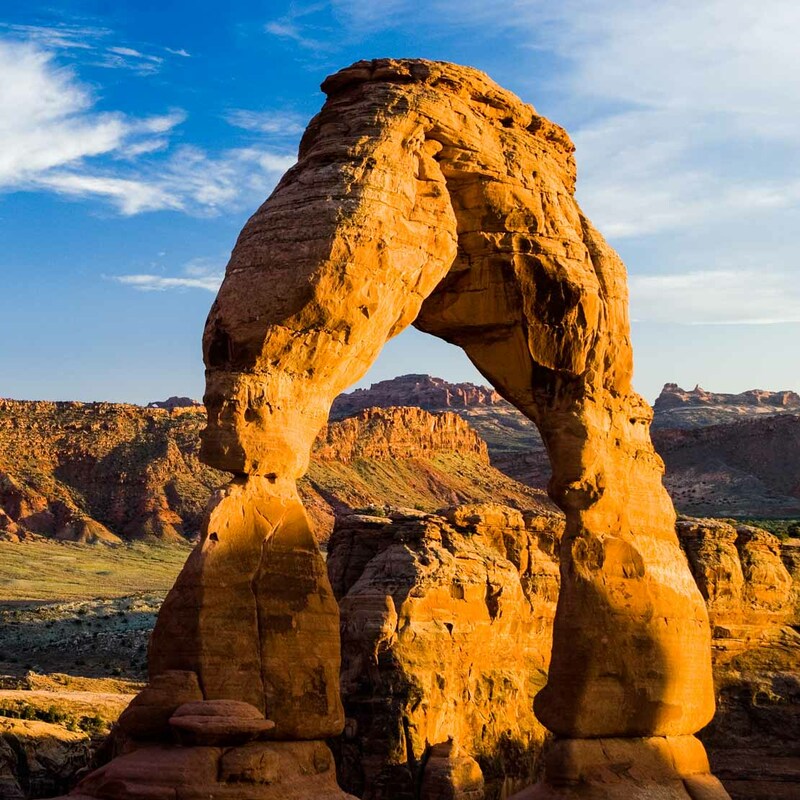 The park showcases over 2,000 natural sandstone arches, including the world-famous Delicate Arch, as well as a host of other bizarre rock formations preserved in pristine condition. 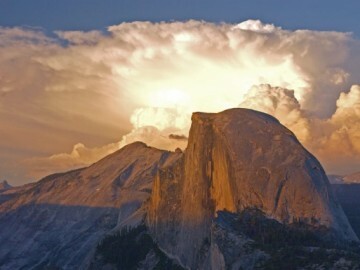 In some areas, the forces of nature have exposed millions of years of geologic history. Arches National Park also boasts a variety of wildlife. In the morning and late afternoon, visitors often spot squirrels, packrats, chipmunks, porcupines, as well as desert cottontails and black-tailed jackrabbits. The park’s more elusive wildlife includes Mule deer, coyotes, bobcats and mountain lions. President Herbert Hoover originally set the park land aside in 1929, calling it Arches National Monument. 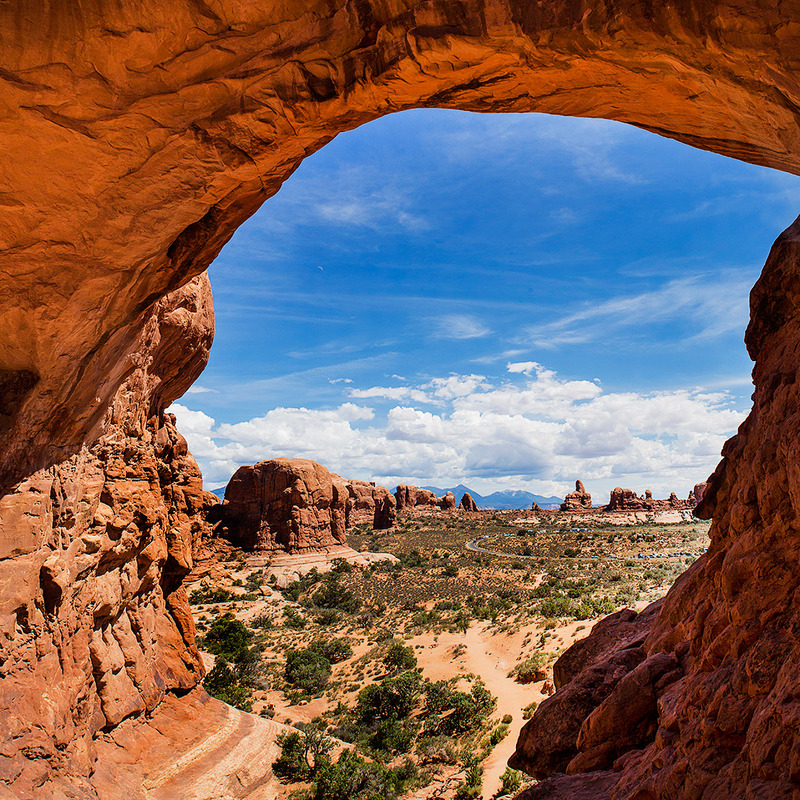 It wasn’t until the fall of 1969 that Richard Nixon signed a bill making it Arches National Park. And while that may be the park’s modern-day history, the land within the park has a long and fascinating past that dates back to ancient times. 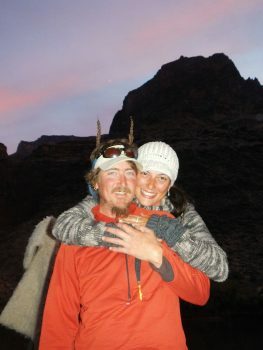 Hunter-gatherers migrated into the Arches area about 10,000 years ago at the end of the Ice Age. They created knives and weaponry from the rocks found in the region. Nearly 8,000 years later, the Puebloan and Fremont people settled in the area and began cultivating plants. They raised domesticated maize, beans, and squash, and lived in villages like those preserved at nearby Mesa Verde National Park in Colorado. 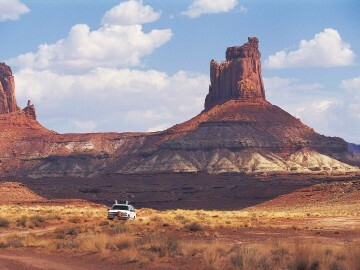 As they were leaving, the Ute and Paiute arrived, meeting the first Europeans in 1776. 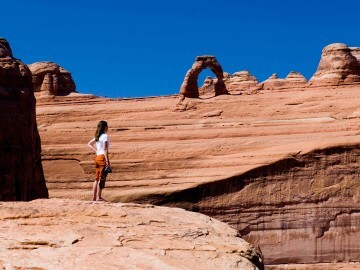 Today, more than 1 million annual visitors come to Arches National Park to hike among its incredible geologic formations, bask in the brilliant sunsets of canyon country and soak in the area’s rich past. 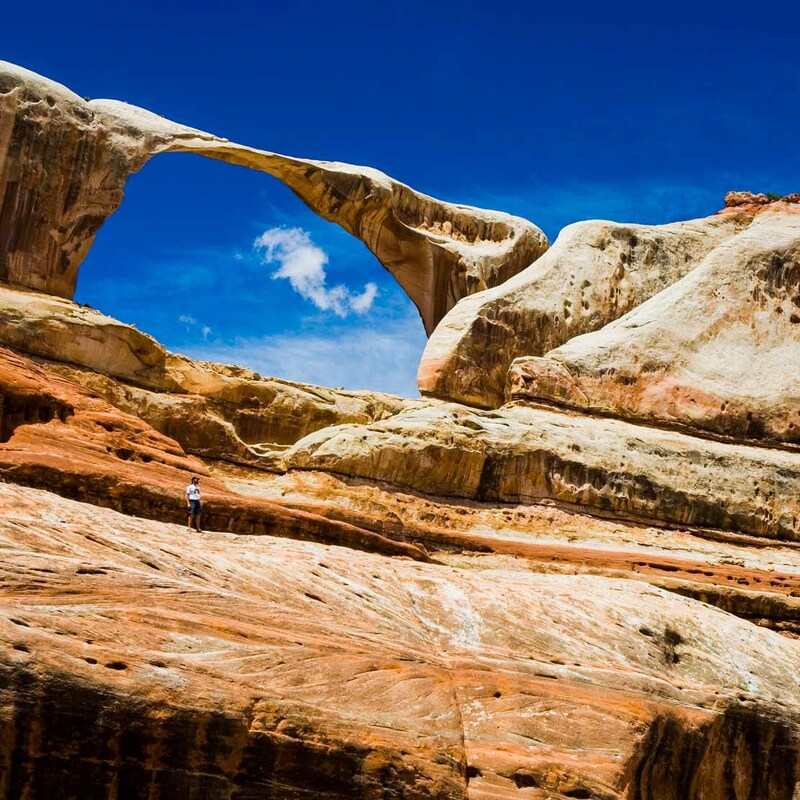 Want to go off-the-beaten-path in this red rock wonderland? Join O.A.R.S. for one of four national park tours that include a visit to Arches National Park like our Utah Guest Ranch and Raft on the Colorado River. On this unique national park tour you’ll spend the first half of the week rafting the rapids of Cataract Canyon, home to Utah’s best whitewater rafting. After your Colorado River rafting experience, you’ll travel into the pristine wilderness by 4×4 on a backcountry interpretive vehicle tour that includes hiking through miles of terrain unseen by most Arches National Park visitors. O.A.R.S. 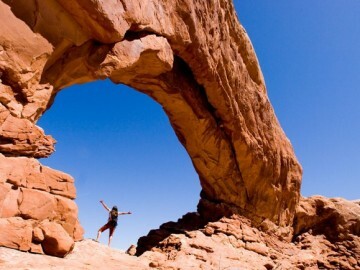 Canyonlands, Inc. is an authorized concessioner of Arches National Park.